Cy's about to find out. He's accidentally conjured up the Princess Shahr-Azad from Ancient Arabia - creator of the 1001 tales of Arabian Nights. Cy and the Dream Master are keen to return the Princess back to her home, before she is discovered. Trouble is, the princess isn't keen to go back. She'd much rather stay and enter the upcoming TV talent contest, and she's prepared to go to great lengths to get her own way. So begins a battle of wills (and imaginations) between the greatest storyteller of all time, and the timid but determined Cy. 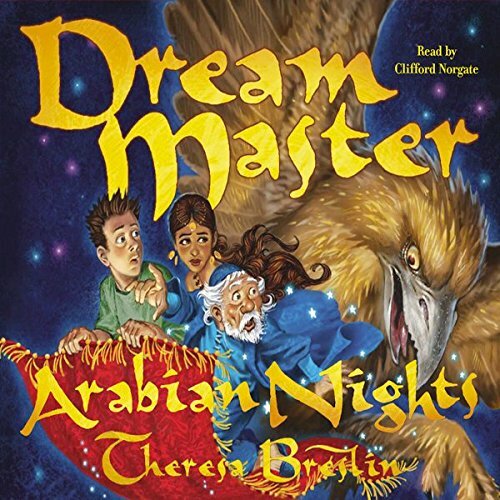 With flying carpets, Arabian dungeons, and a trouble-making genie, Cy's fourth adventure with his Dream Master is as fast and funny as before.